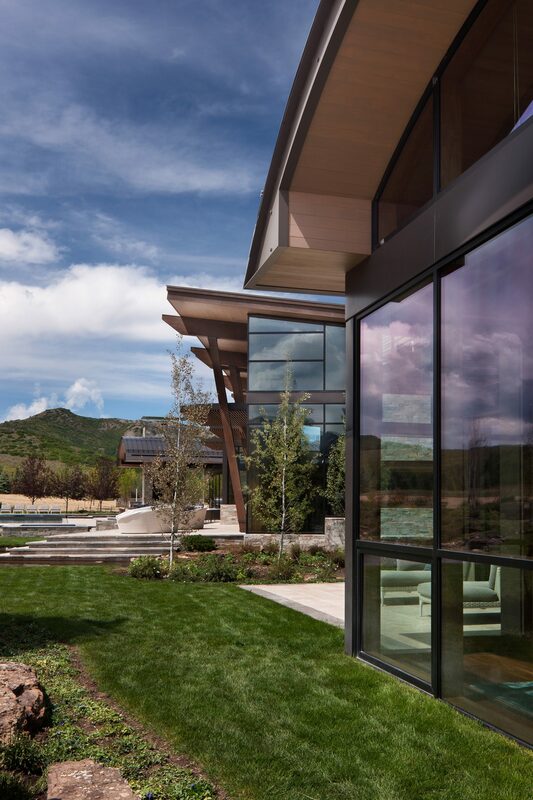 Situated adjacent to a preserved agricultural field, and anchored by dramatic South and West views of Aspen and Snowmass ski areas, this home takes full advantage of its natural surroundings. 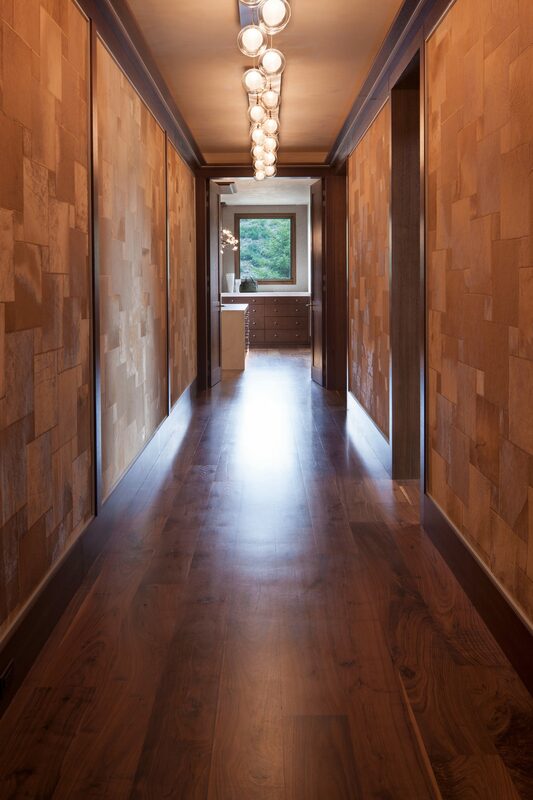 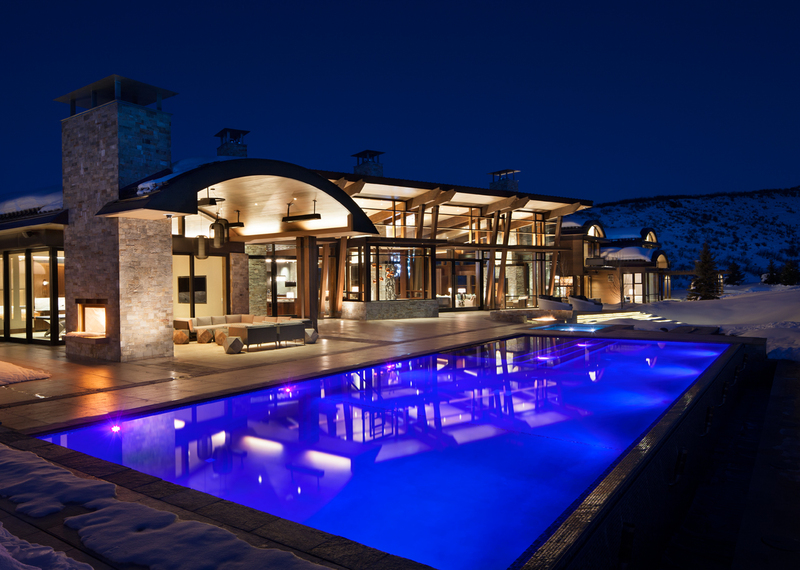 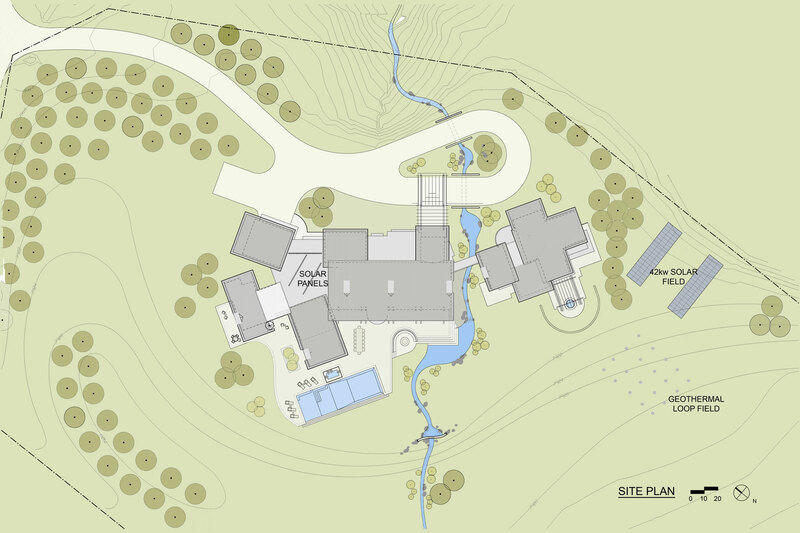 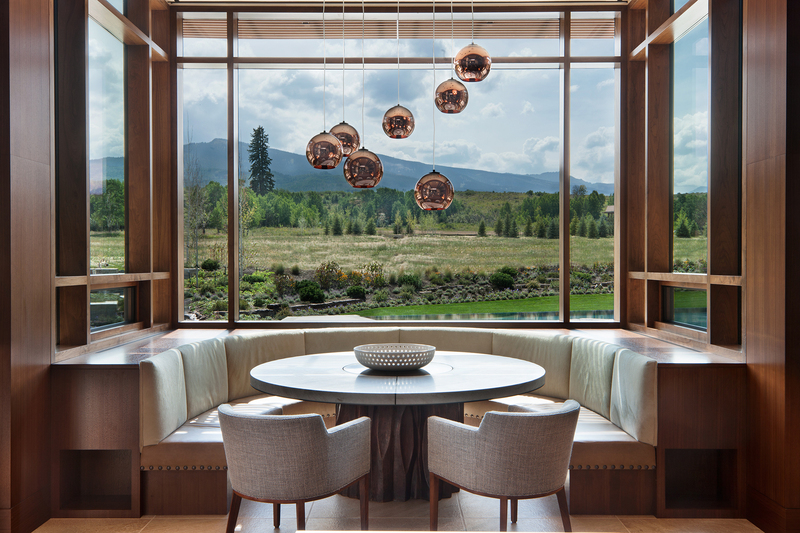 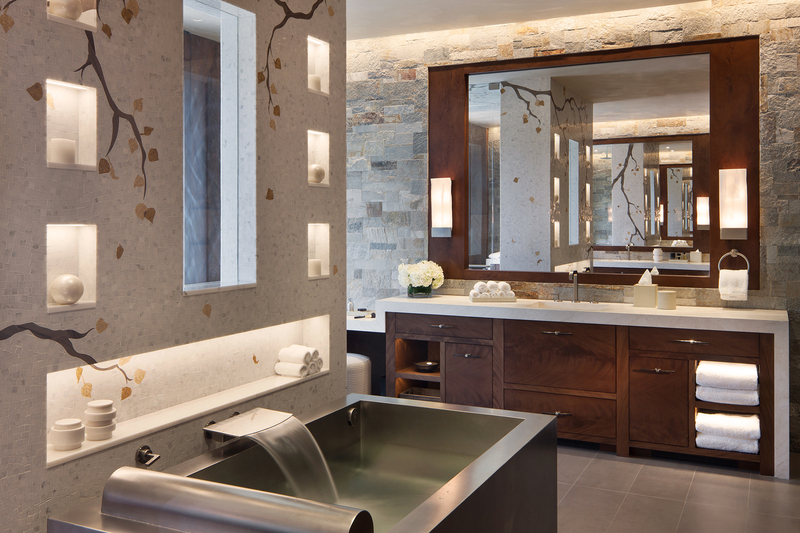 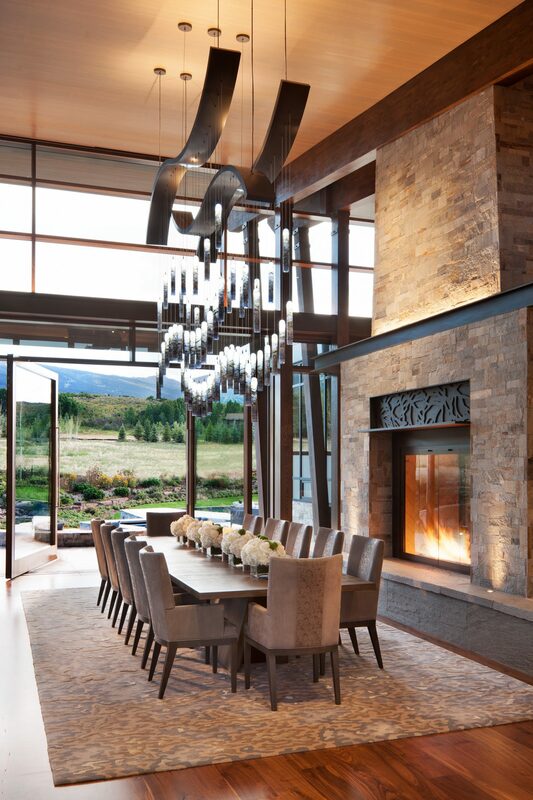 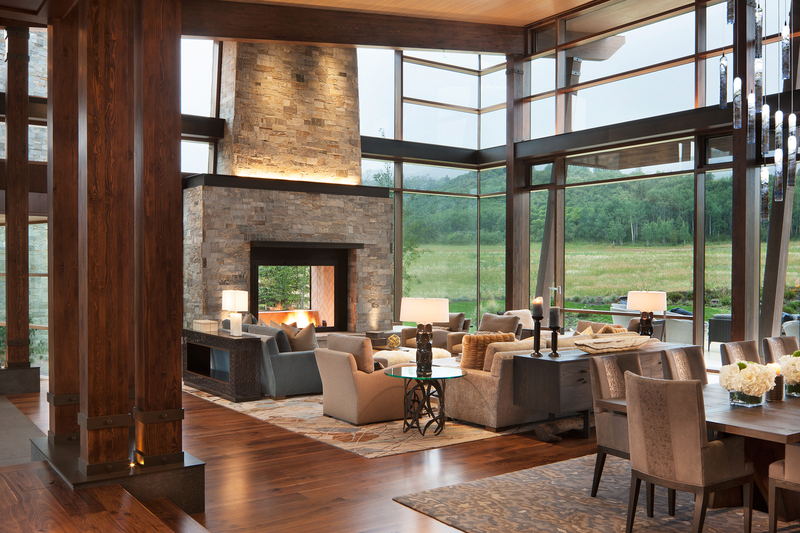 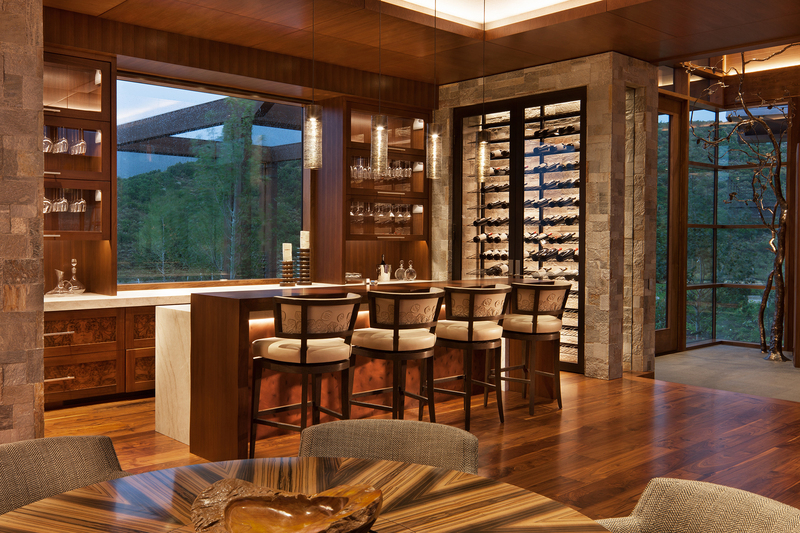 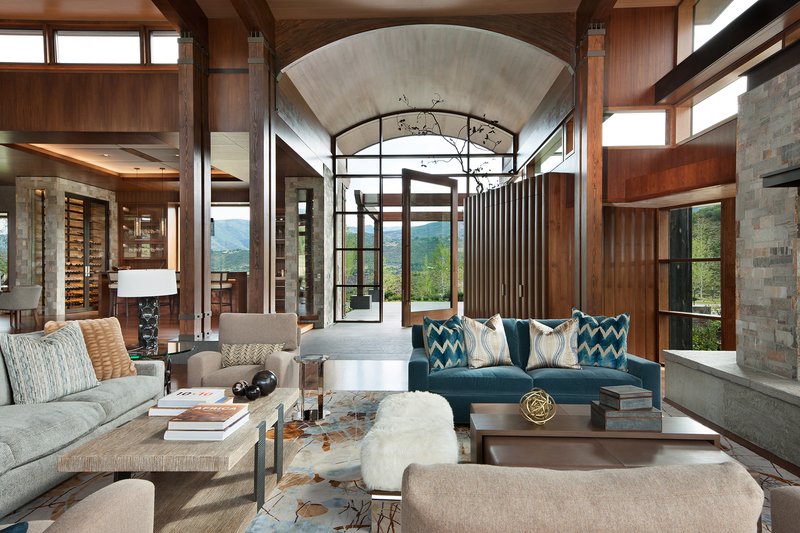 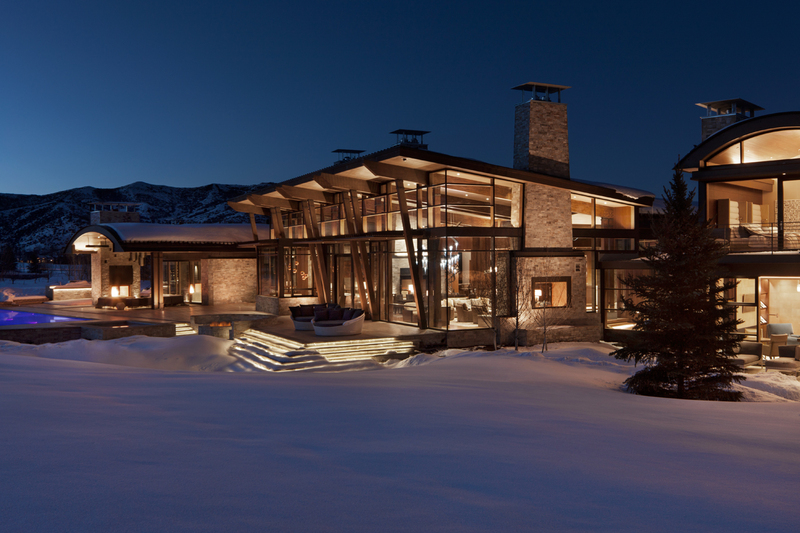 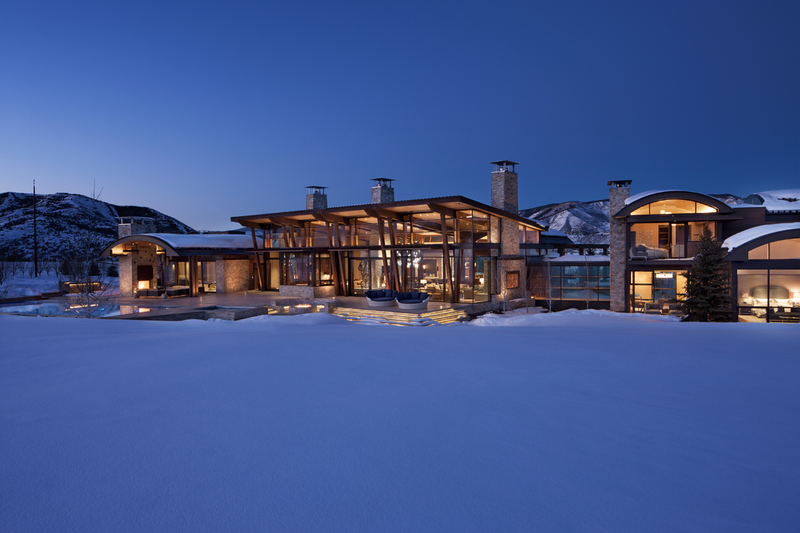 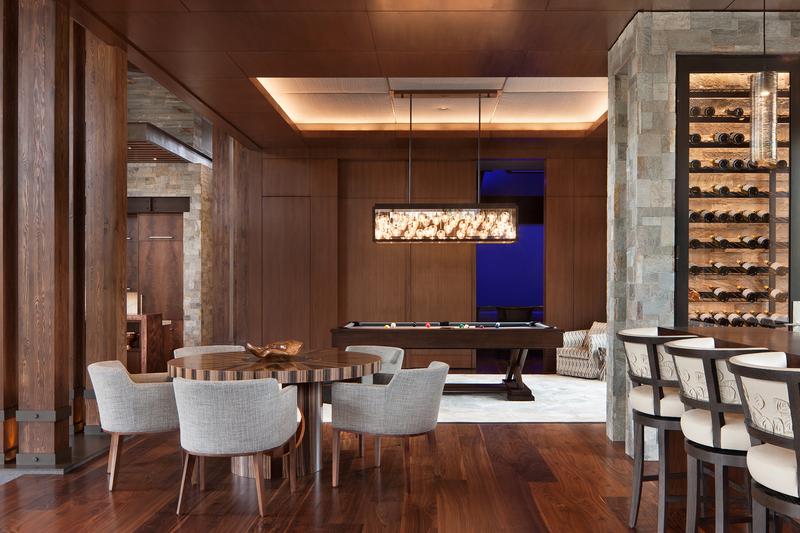 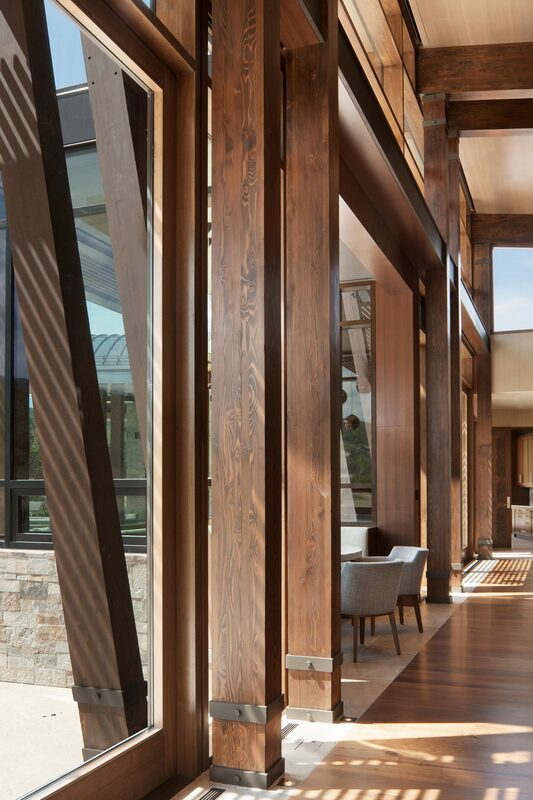 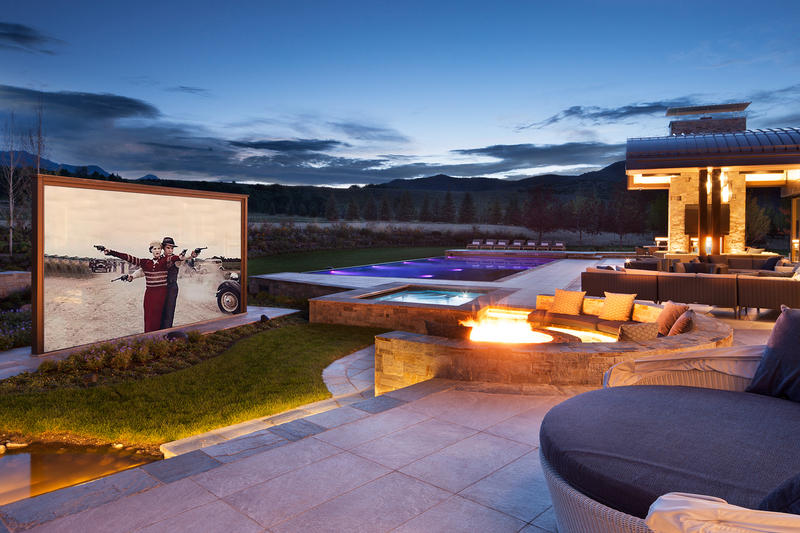 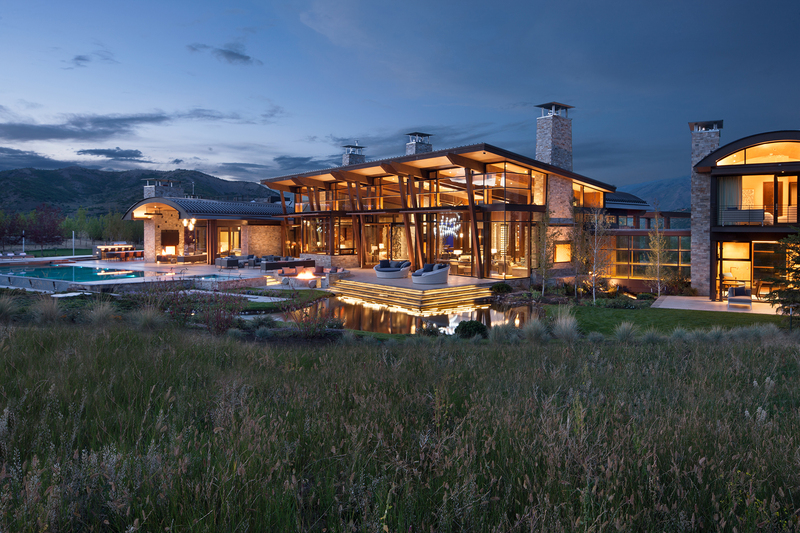 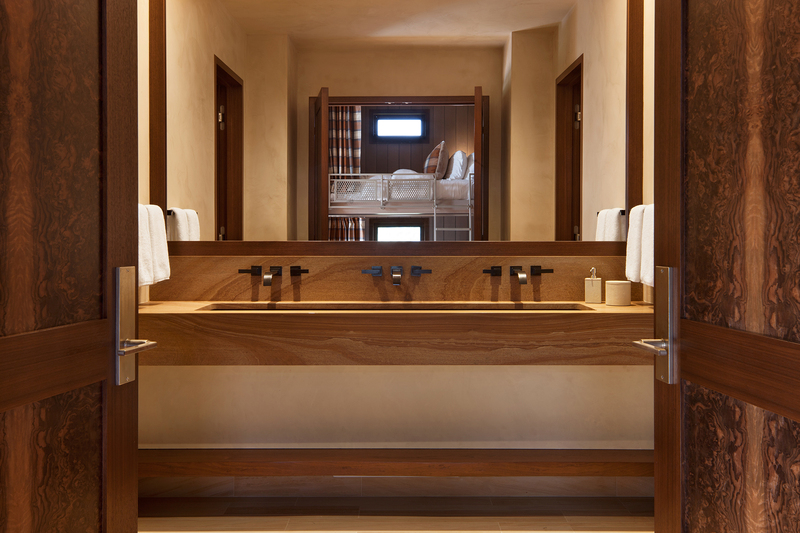 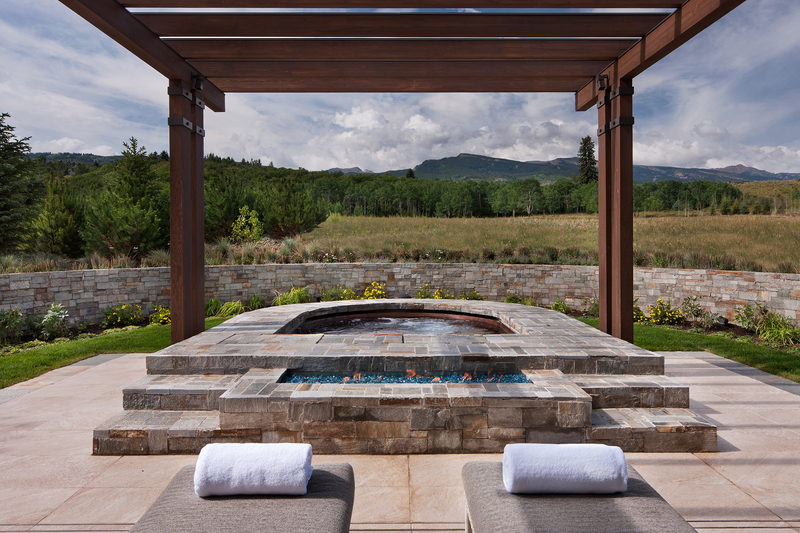 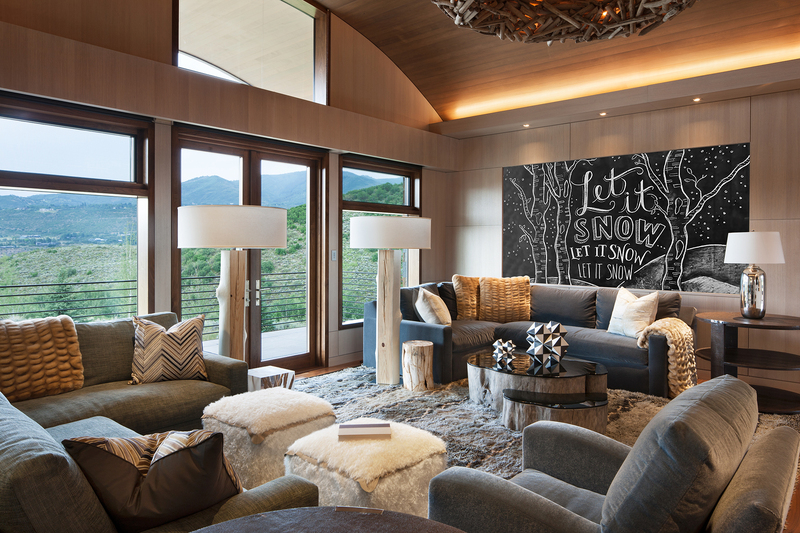 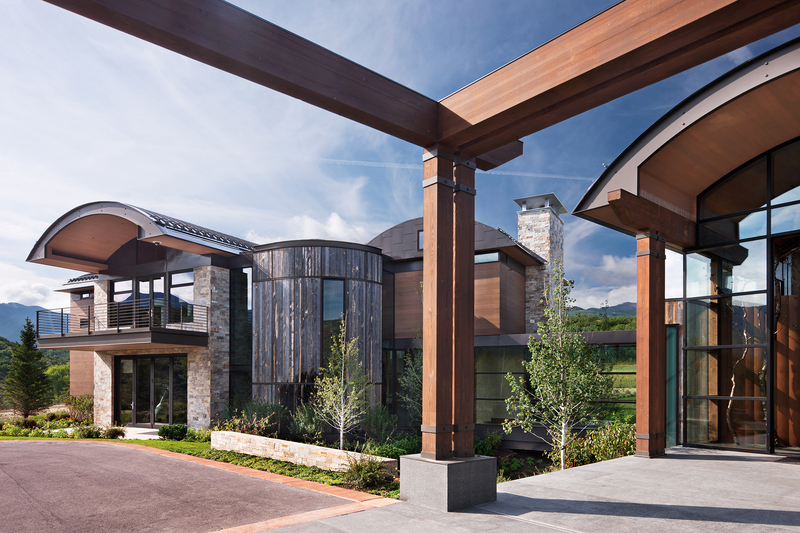 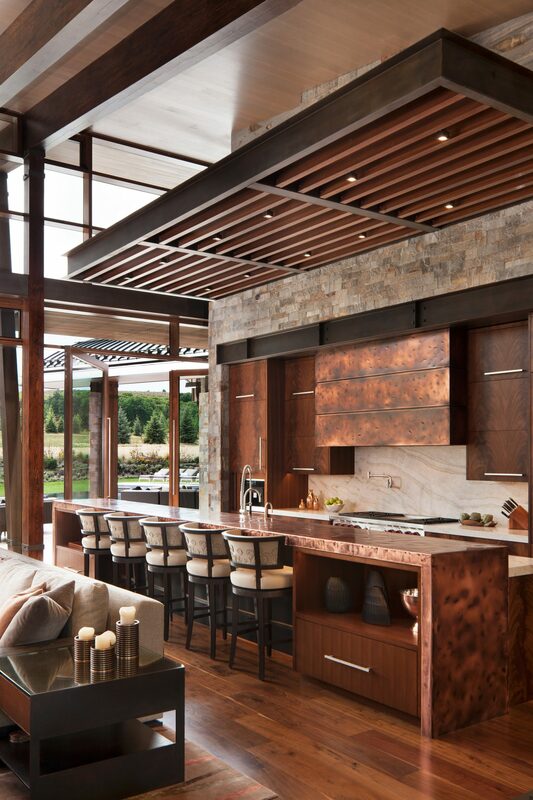 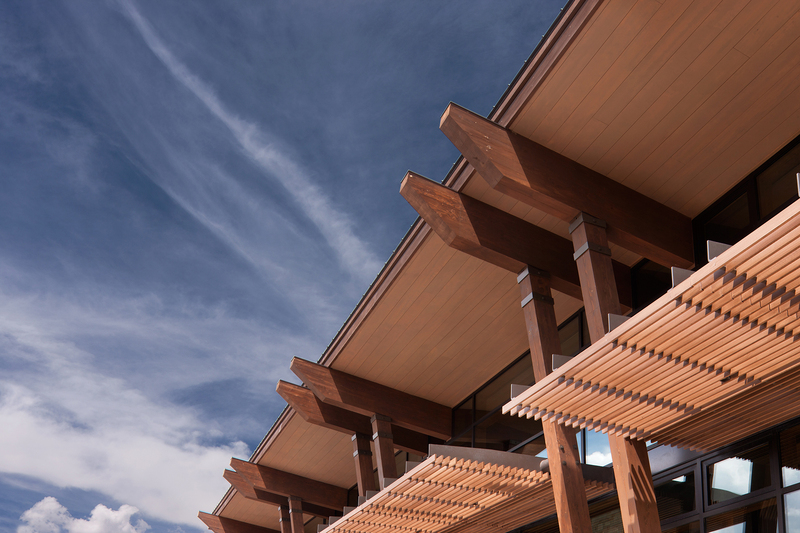 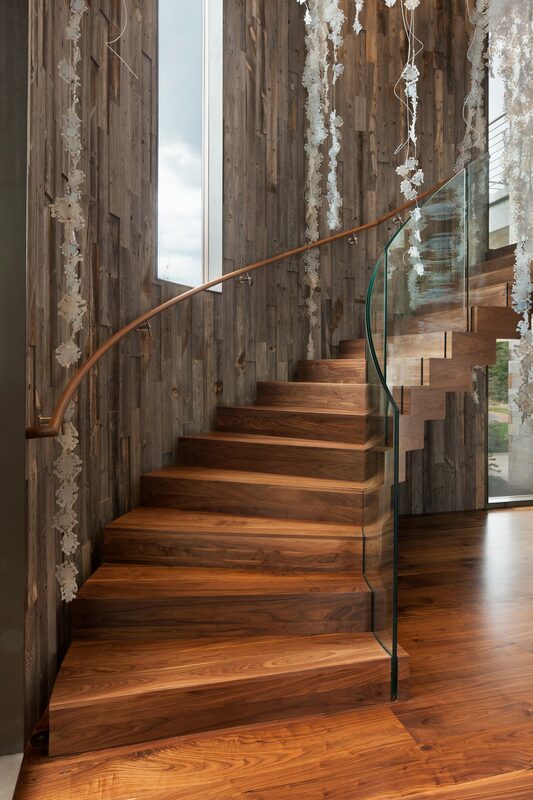 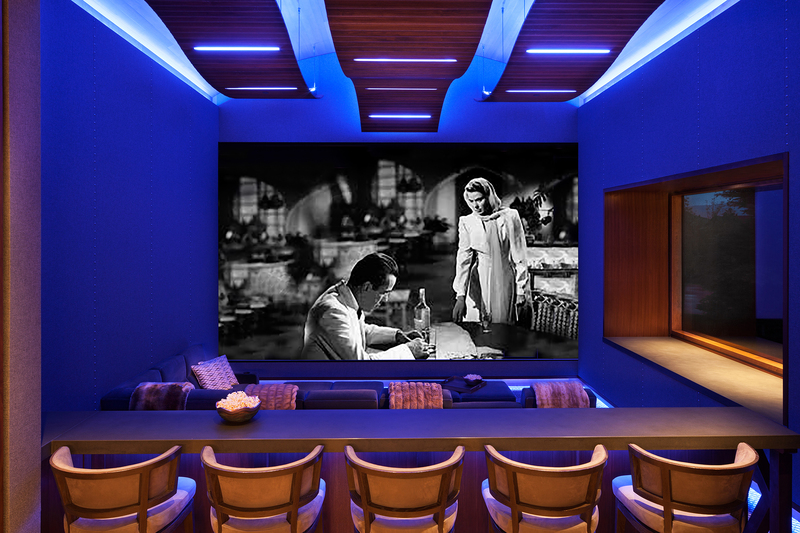 Designed with careful orientation towards the Elk Mountain Range, the structure stretches alongside a 10-acre hay field delicately weaving together the interior and exterior spaces providing expansive south-west views and daylight throughout the residence. 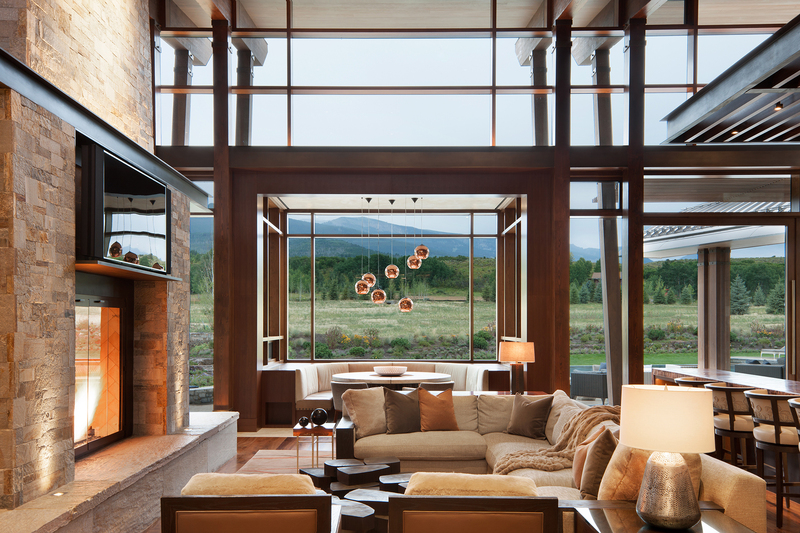 The roof plane floats over the main living area, sloping to a twenty three foot tall glazed curtain wall, drawing the eye and experience across the field to the dramatic mountain landscape beyond. 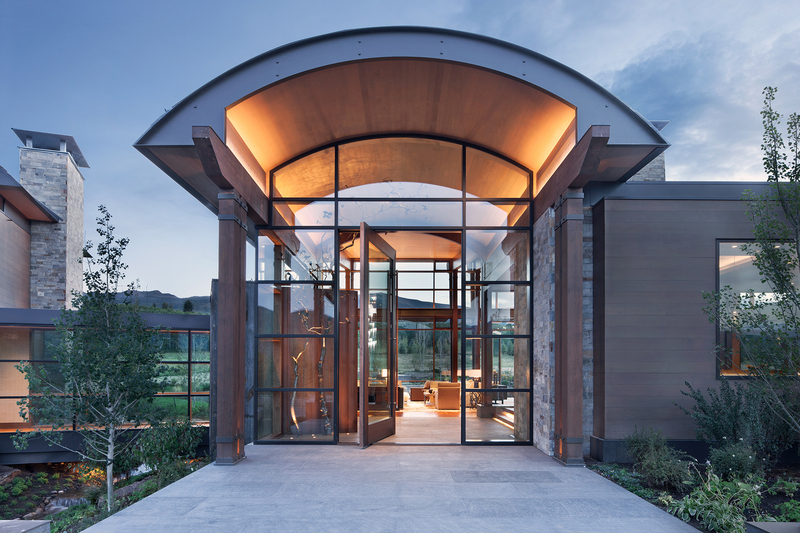 A south-facing glazed wall with tall pivot doors to the patio allows an intertwining of interior and exterior dwelling experience. 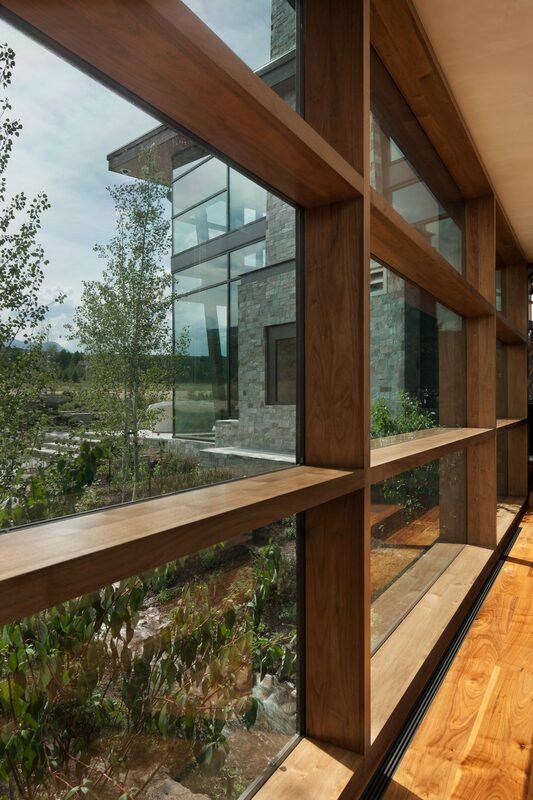 The patio stretches out and engages the agricultural field and pulls the dwelling experience further into the landscape and place. 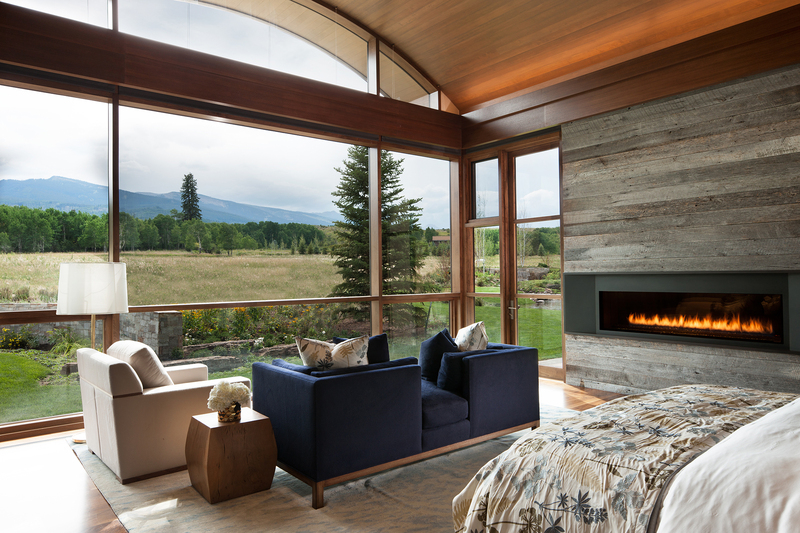 The guest bedroom and master bedroom wings flank the main living volume and more quietly engage the view and landscape with low arched barrel-vault roofs. 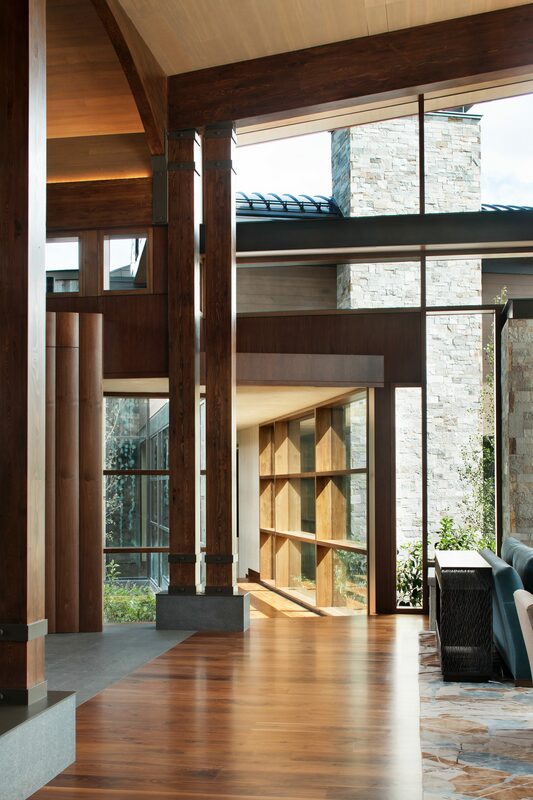 The master wing is separated from the main living structure by an interior bridge over the stream way, engaging framed views in both directions. 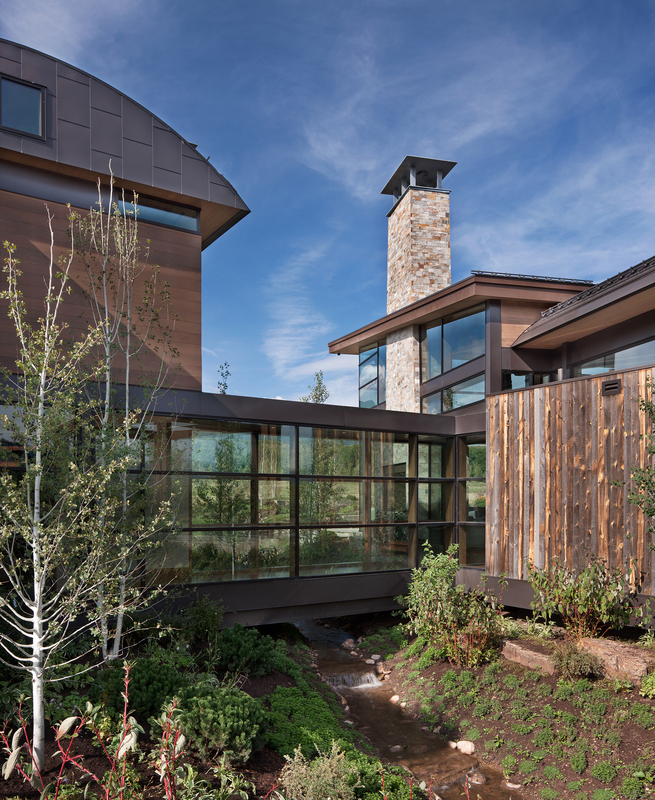 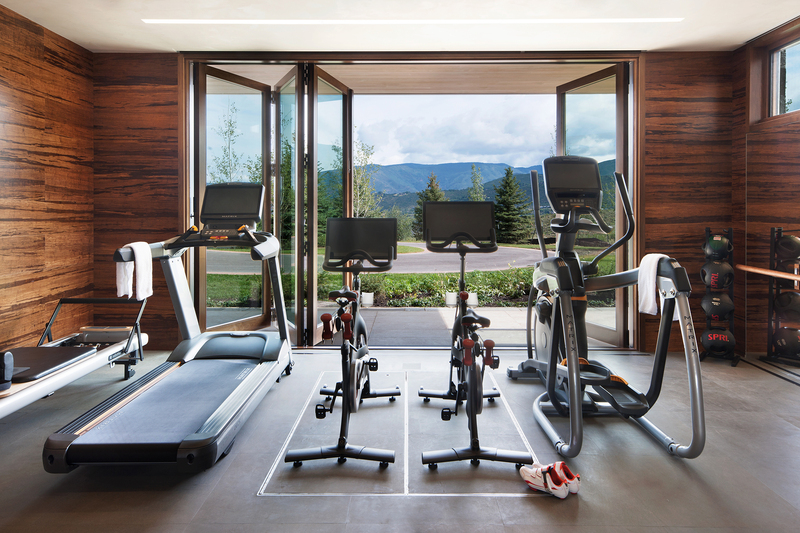 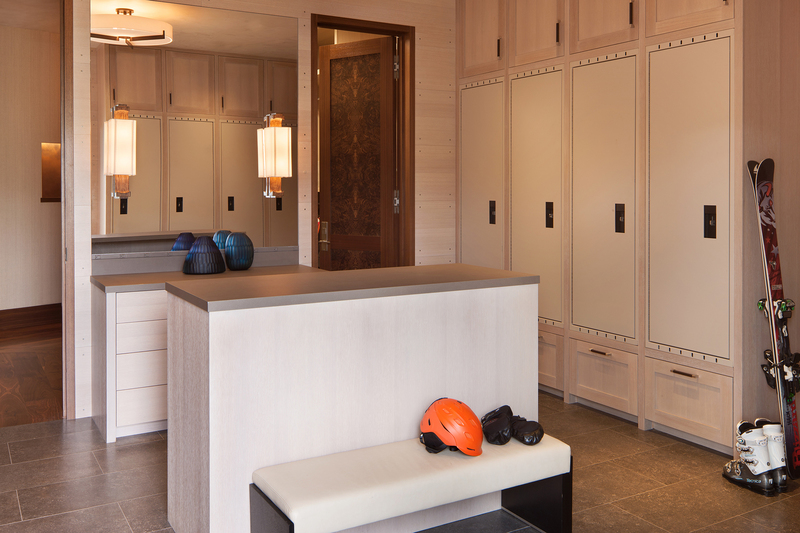 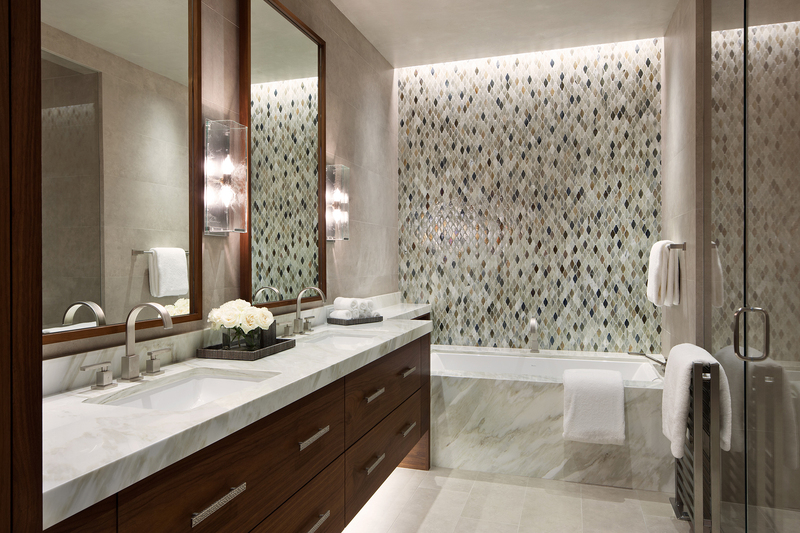 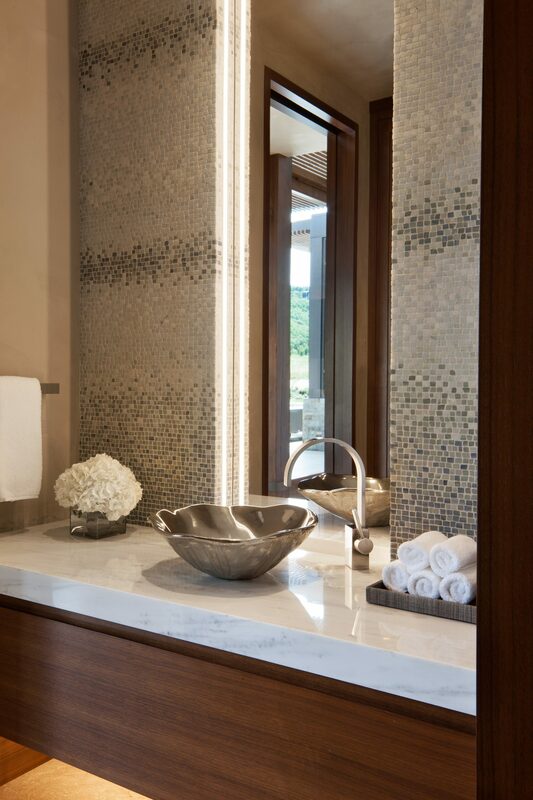 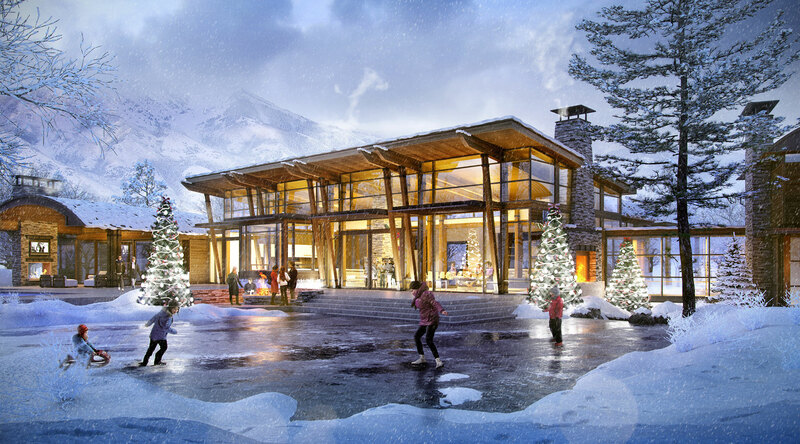 With the geothermal ground loop system the 15,000 sf residence is able to maintain all heating and cooling needs through a renewable energy source. 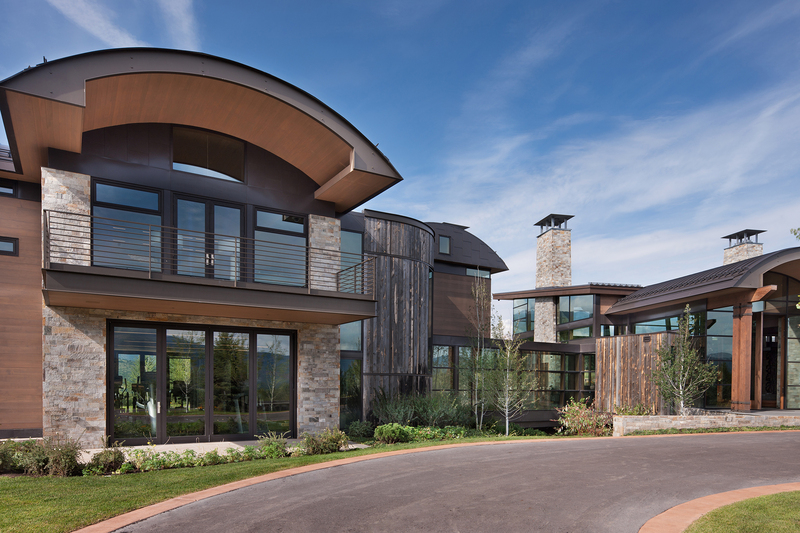 The 58 kW solar PV array further assist in achieve a HERS rating of 10 for the 15,000 square foot residence, which has been designed to achieve LEED silver status.